Bespectacled Mancunian powerhouse and one time resident of Canada Dom Henry has just come out with a rather tasty edit put out by the guys at Note and Rocksolid Dist. Filmed and edited by Jim Craven it showcases exactly the kind of crusty spots and extra pushes that you come to expect from the North. But it’s Doms smooth style that sets him apart, hell he is so smooth he can ride away on grass without apparently loosing speed. 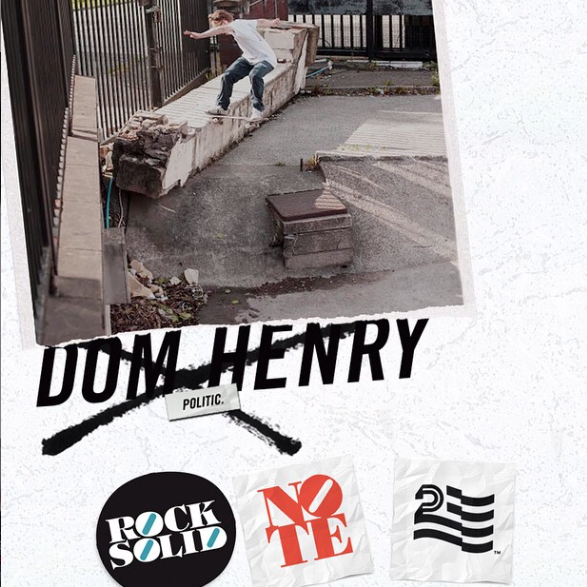 Tags: dom henry, manchester, note, politic skateboards, rock solid dist, skateboarding. Bookmark the permalink.